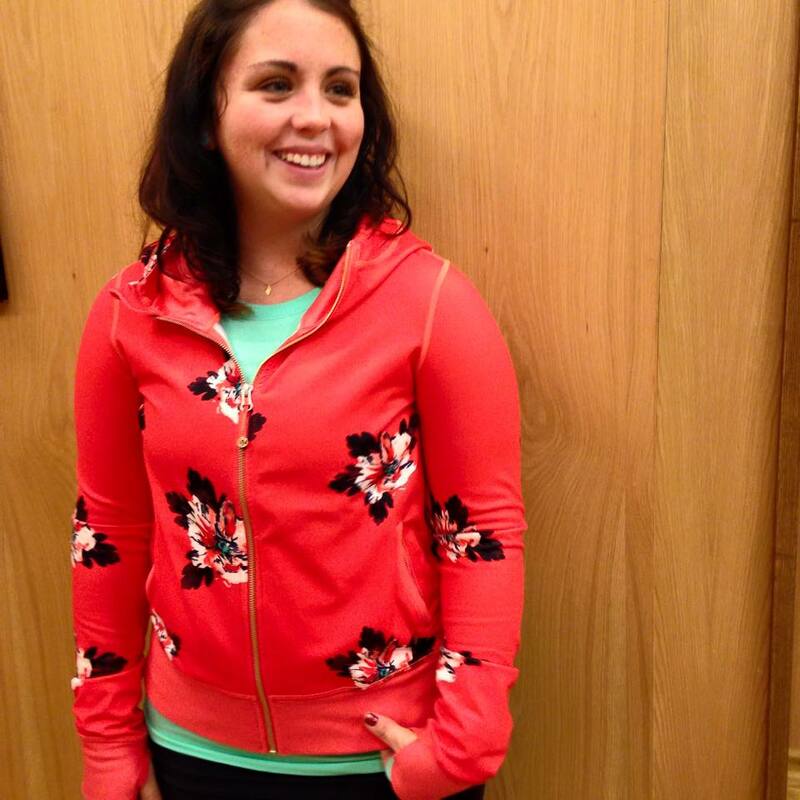 First photo of the new Namaskar Hoodie in the Atomic Flower Print. The jacket is luon. This from an upstate NY store. This is not appealing in the least. yikes!! this Atomic LUON hoodie looks like a cheap sweatshirt from forever 21. Nothing wrong with that except this one will cost at least $98.... not for me. I like it, but I am a weirdo. Just have to feel the material. I like the colors and the weird flower. Not a fan. It looks very juvenile. Like a cheapie hoodie from target.